Do Not Send Mother to Jail for Selling Homemade Ceviche on Facebook! 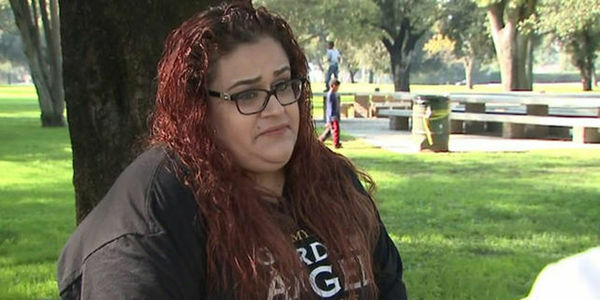 A mother from Stockton, CA is facing jail time for selling homemade ceviche to someone over Facebook. Sign this petition to urge the DA to drop the charges! Mariza Ruelas is part of a Facebook group in which people share recipes, cooking tips and sometimes swap food for favors or meals. Ruelas, a single, unemployed mother of 6, had leftovers last December and offered to sell some for $12. An undercover cop bought a dish, and now Ruelas is facing a misdemeanor for operating a food facility and a business without a license. Other people were caught in the sting too, but accepted plea deals. Ruelas is fighting and could end up in jail just for trying to make a living and contributing to her community. This is utterly ridiculous. These laws were intended to ensure businesses serving food to hundreds a day met certain standards, not to prosecute individuals. Sure, there is an inherent risk that we take on when we pay a friend for dinner ingredients or buy a baked good from someone on the street. Taking that risk does not ruin lives, but criminalizing it sure does. Sign this petition to urge the DA to drop the charges against Ruelas! This is Mariza Ruelas—thanks for your support after DA prosecutors threatened me with jail time for selling homemade food. As a single mother I’ve had to take two new jobs outside of the home. The CA Homemade Food Act (AB 626)— will let me get back to cooking for my community if it passes! Please consider signing our new petition, in support. If you live in CA you can also click here to contact your representative. GREAT news! A bill has been introduced that would make what Mariza did legal. Please sign here to support, and look out for a Care2 petition on this shortly! We'll update you when it's live. Your signatures have been delivered! There are 2 final ways you can help Mariza before her Nov. 17 court date >> 1. CALL the DA's office and ask them to drop the charges: (209) 468-2400 2. SHARE the petition on Facebook: http://bit.ly/2feypYe Thank you for standing up for Mariza!